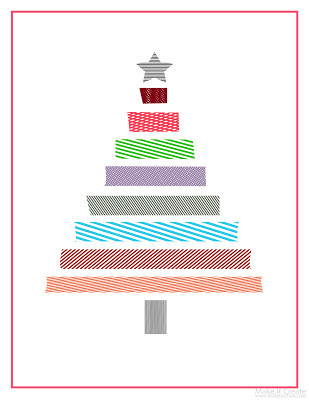 Today we're sharing a Washi tree printable for Christmas! 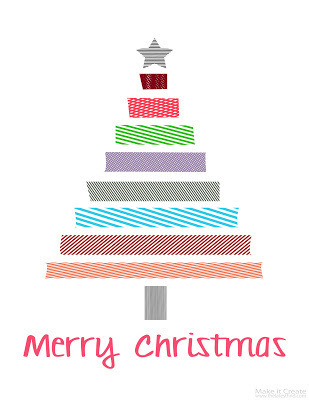 This printable is 8x10 in size, JPG format in high resolution 300DPI! We've created a few different ones so you can save the one you like best! Click on any of the images below...that will take you to the download site. You'll find the download button near the top right! as well as our freebie Christmas tree printable HERE! For an inexpensive gift printable to print out and frame (perfect for teacher gifts), check out our Christmas tree verse printable from the shop by clicking -->HERE! It also comes in nine other color combos, which you can view -->HERE. Check back soon for a short and sweet tutorial on making "snowball" ornaments! What a fun idea! We can print it or make our own! Thanks for sharing this week at One Creative Weekend! Have a great weekend! Saw this on Chic and Crafty Party! Pinned it, love this!